Astra Model A-80 9mm Pistol - Vintage Gun Grips - Reproduction Pistol Grips, Buttplates and Grip Caps. Made in Guernica (Vizcaya), Spain by Astra-Unceta y Cia., the Model A-80 was introduced in 1981 in calibers 9mmP, .38 Super, and .45 ACP. It was designed to be a medium sized combat pistol with a large magazine capacity. 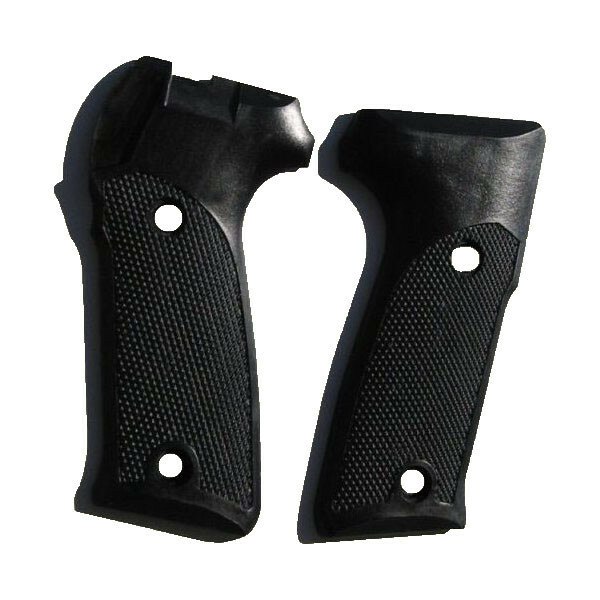 It is all-steel, double action, with a recurved trigger guard for two-hand hold, internal trigger safety, hammer release, and loaded chamber indicator.